Andi Brooke played basketball for Head Coach Ken Ruud 2001-03. 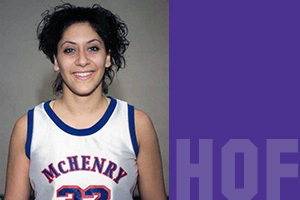 The forward was a two-time Illinois Skyway Collegiate All-Conference, All Region IV and NJCAA All-American honoree. She helped lead her team to two ISCC championships in 2001-02 and 2002-03 seasons.